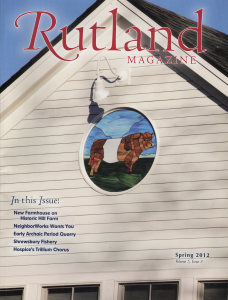 Read about Danaher Fishery in Rutland Magazine. Welcome to the Danaher Fishery Website. We’re located in Shrewsbury, Vermont and provide service throughout the entire State. Our trout farm was established in 1991 and strives to provide our customers with the variety of native Vermont trout raised in the purest of water supply from deep within the Saltash Mountain caverns of Shrewsbury, Vermont. We stock a variety of large and small ponds throughout Vermont with direct owner consultation or independent inspection, backed by 20+ years of “hands-on” trout farm knowledge. When available, Danaher Fishery currently provide restaurants with Rainbow, Brook and Brown Trout. We offer consulting services for new pond construction and old pond restoration, along with maintenance programs providing quality bacteria and aeration systems. We strive to provide all of our customer with quality fresh local Vermont products and services. If you are interested in what we can do for you, or have any questions, feel free to contact us today. Copyright © 2019 Danaher Fishery Located in Shrewsbury, Vermont.